Does your clan have Scottish origins? If you search all of Findmypast's records with 'Scotland' entered in the location search field you'll return over 53 million records, so it would be a mistake to underestimate what we can add to your Scottish family research. Add to that our ever-growing collection of Scottish newspapers, and you have yourself a veritable treasure chest of material to help you find highland relatives. So what records have we got and how should you go about searching them? Scotland Births & Baptisms 1564-1950 - Over 9 million records covering nearly 400 years of Scottish history. Each record contains a transcript of original sources and you will usually find out names, dates, locations and parents' names. Scotland Marriages 1561-1910 - A comprehensive collection of over 4 million records will help you uncover a union in two branches of your Scottish family. Scotland Billion Graves Cemetery Index - If your ancestors were buried in Scotland, use this continually-updated index to find the precise location and even view a photograph of their headstone. 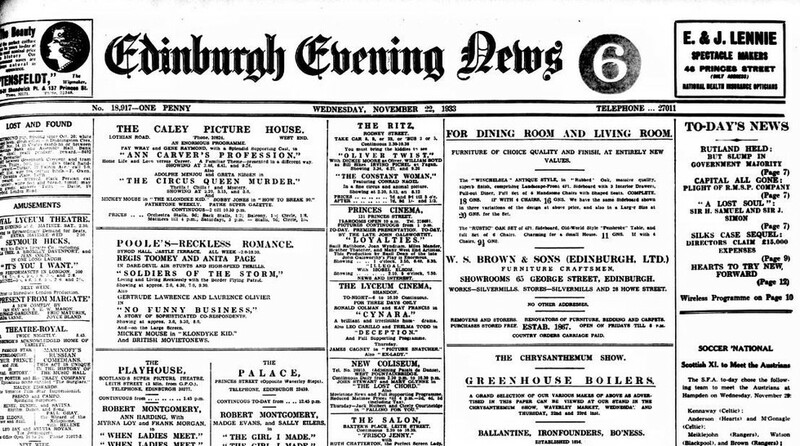 Our British Newspaper Collection is of the most important resources you can search for your Scottish family. You can narrow your search by date and county. For a full overview of our Scottish newspapers and how to get the most from them, click here. Scotland is included in our British census records from 1841-1901. The censuses are the perfect way to track your family's evolution over generations. They'll tell you your ancestor's name, address, birth year, occupation and more. In the 1901 census, you've got the added benefit of searching by addresses as well as names. Over 395,000 soldiers from Scotland are included in our comprehensive British Army Service Records. You can filter your search by country and county to narrow your results to exactly what you're searching for. There are many regiments with origins in Scotland including The Scots Guards, The Royal Scots Fusiliers and The Highland Light Infantry. Scotland Registers & Records are a varied array of social histories and parish records covering everything from the parish of Alloa to the Black Watch. Scotland, Paternity Decrees 1750-1922 will help you break down brick walls by discovering illegitimate ancestors. Scotland Pre-1841 Censuses and Population Lists takes you back further with early census information for several Scottish parishes. 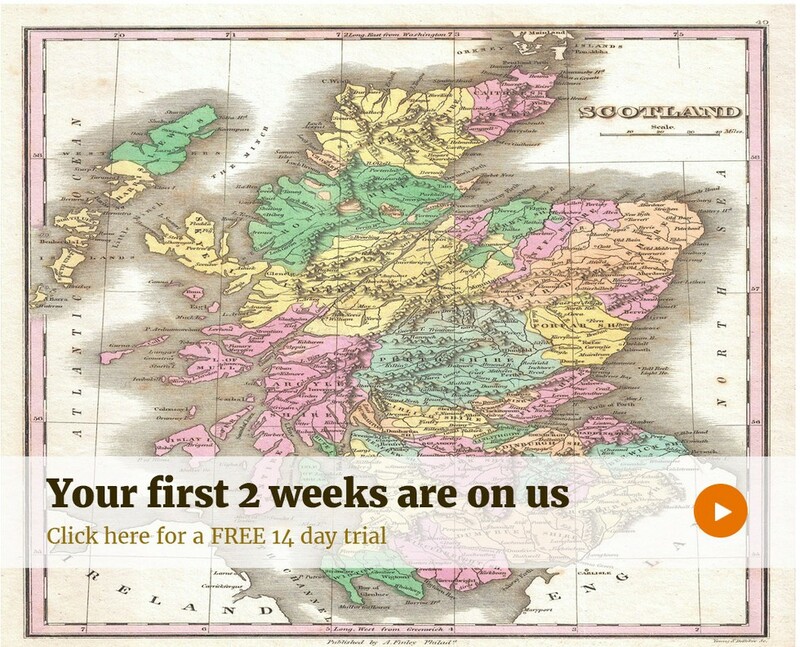 Findmypast is not the only resource available to help you build your Scottish family tree. ScotlandsPeople is the official Scottish government genealogy website and holds comprehensive collections of civil and church registers, censuses, land records and more. Combining ScotlandsPeople with Findmypast will most likely yield the most-well rounded Scottish family history research.